If you’re looking to get some Maltese ink that speaks to you on a personal level but are not too familiar with the language, we’d recommend you stay away from Google Translate. A great tool for getting the gist of a language you absolutely don’t understand, Google Translate has been known to fail to see the finer, more contextual parts of translation. 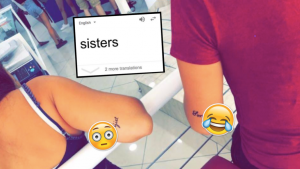 And that’s what happened when two language students decided to get the Maltese translation of sisters on their elbows. Glamour model and social media starlet Denise Dalton shared a photo of the two best friends, and the resulting ink… which, thanks to Google Translate, turned out to be sorijiet. You know, nuns. We’re going to go out on a limb here and say that’s probably not what they were looking for. 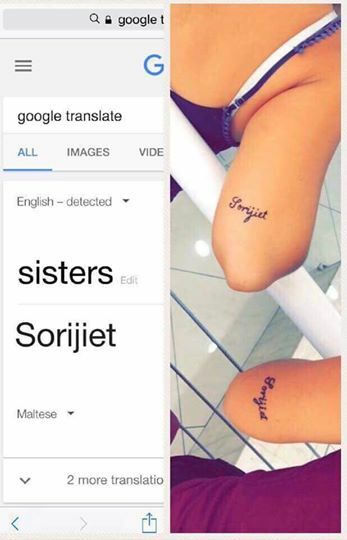 Thankfully, the translation-blunder is actually a henna tattoo, which means the two girls will only be stuck with Sorijiet scrawled on the back of their arms for a maximum of three weeks. 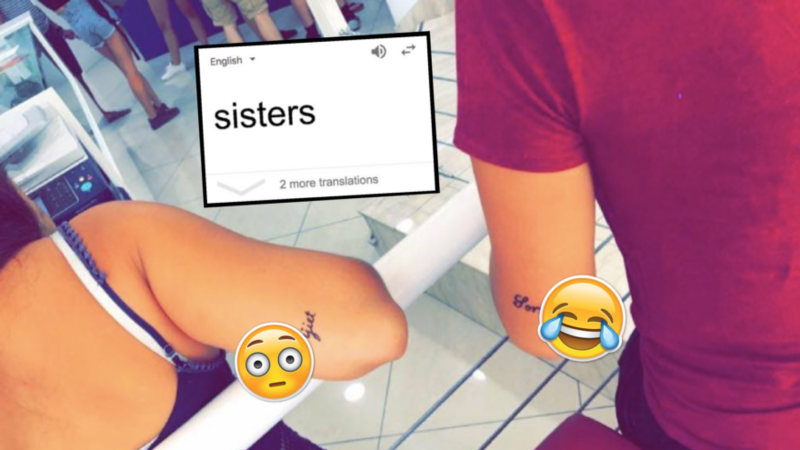 Of course, you can’t blame the two foreigners for thinking sorijiet is a better translation of sisters than the more general, gender-less aħwa… but it doesn’t make this any less hilarious. Google Translate does offer another two options, oħti l-kbira and oħti ż-żgħira, but it seems like that was too much of a mouthful for the pair of friends. The teacher only found out the day after the two best friends got it, when they were posing for a photo in the classroom. “It was of course too late by then, but I must admit… knowing it was temporary helped me not feel too bad about the whole situation.” To be honest, we’re just sat here thinking how the hell she didn’t just break out in laughter.